In this tutorial I will explain you how to access a windows VPS from your computer with windows 8 installed. This tutorial will also work for windows 7, Windows Vista etc. 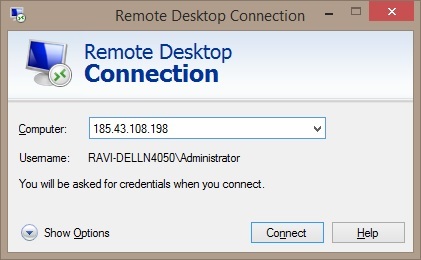 Remote Desktop is a feature in Windows operating systems (Windows Vista, Windows 7, Windows 8 etc.) 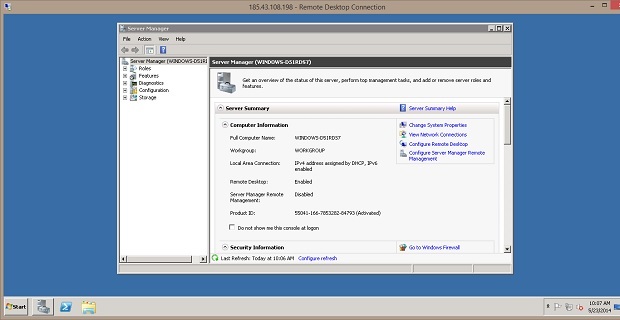 that allows you to connect to your windows VPS remotely and work as you are sitting in front of the console. Thus it make VPS management quite easy. 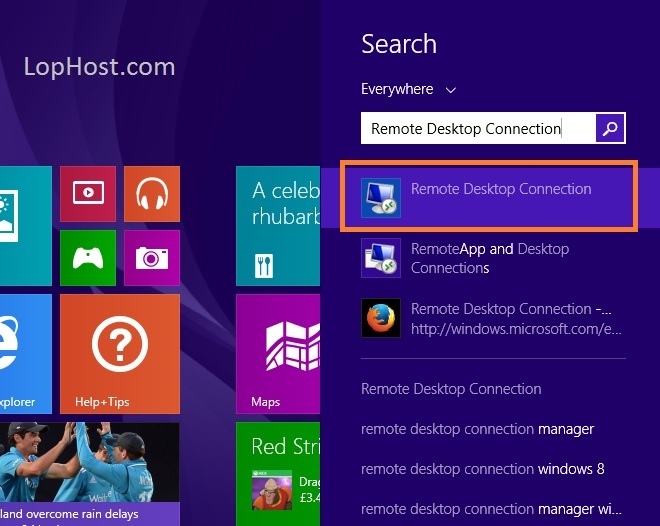 On a windows 8 computer, search for Remote Desktop Connection and launch it. In computer name field enter your VPS IP anc click Connect button. On next step enter your VPS username and password. 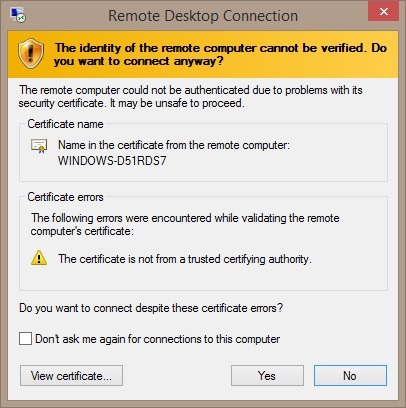 Click Yes button if you get any certificate warning message. You should now have successfully logged in your VPS. You can now access and manage your VPS just like you are in front of your VPS physical machine.